Lit candles and Icon lamps (lampadas) have a special symbolic meaning in the Christian Church, and no Christian service can be held without them. In the Old Testament, when the first temple of God was built on earth the Tabernacle services were held in it with lamps as the Lord Himself had ordained (Ex. 40:5, 25). Following the example of the Old Testament Church, the lighting of candles and of lampadas was without fail included in the New Testament Church’s services. The Acts of the Apostles mentions the lighting of lamps during the services in the time of the Apostles. Thus, in Troas, where Christ’s followers used to gather on the first day of the week (Sunday) to break bread, that is, to celebrate the Eucharist, there were many lights in the upper chamber (Acts 20:8). This reference to the large number of lamps signifies that they were not used simply for lighting, but for their spiritual significance. The early Christian ritual of carrying a lamp into the evening service led to the present-day order of Vespers with its entry and the singing of the ancient hymn, O Jesus Christ, the Joyful Light…, which expresses the Christian teaching of spiritual light that illumines man of Christ the Source of the grace-bestowing light. The order of the morning service of Matins is also linked to the idea of the Uncreated Light of Christ, manifested in His Incarnation and Resurrection. The Fathers of the Church also witnessed to the spiritual significance of candles. In the 2nd Century, Tertullian wrote: We never hold a service without candles, yet we use them not just to dispel night’s gloom we also hold our services in daylight but in order to represent by this Christ, the Uncreated Light, without Worn we would in broad daylight wander as if lost in darkness [ Works, 3rd ed., Kiev, 1915, p.76]. 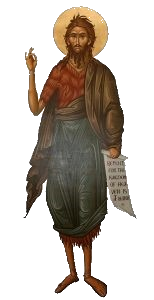 The Blessed Jerome wrote in the 4th Century that In all the Eastern Churches, candles are lit even in the daytime when one is to read the Gospels, in truth not to dispel the darkness, but as a sign of joy…in order under that factual light to feel that Light of which we read in the Psalms (119:105): Thy word is a lamp to my feet, and a light to my path [Works, part IV, 2nd ed., Kiev, 1900, pp.301-302]. St. Sophronius, Patriarch of Jerusalem, wrote in the 7th Century: Lampadas and candles represent the Eternal Light, and also the light which shines from the righteous [Writings of the Holy Fathers…, St. Petersburg, 1855, Vol. I, p.270]. The Holy Fathers of the 7th Ecumenical Council decreed that in the Orthodox Church, the holy Icons and relics, the Cross of Christ, and the Holy gospel were to be honored by censing and the lighting of candles; and the Blessed Simeon of Thessalonica (15th Century) wrote that candles are also lit before the Icons of the Saints, for the sake of their good deeds that shine in this world [Works, Moscow, 1916, p. 108]. Orthodox faithful light candles before the Icons as a sign of their faith and hope in God’s help that is always sent to all who turn to Him and His Saints with faith and prayers. The candle is also a symbol of our burning and grateful love for God. During the reading of the Twelve Passion Gospel at Holy Friday Matins, the faithful hold candles, re-living our Lord’s sufferings and burning with love for Him. It is an ancient custom of Russian Orthodox Christians to take home a lit candle from this Service and to make the Sign of the Cross with it on their doors in remembrance of Our Lord’s sufferings and as protection against evil. At the betrothal ceremony, the Priest hands the bride and bridegroom lit candles before they enter the church to receive the Sacrament of Matrimony, throughout which they hold the lit candles as a symbol of their profound love for each other and of their desire to live with the blessing of the Church. At the Sacrament of Holy Unction, seven candles are lit around the vessel of Holy Oil as a sign of the grace-bestowing action of the Gifts of the Holy Spirit. And when the body of a deceased person is brought in the church, four candles are placed about the coffin to form a cross to show that the deceased was a Christian. During the Funeral service, as well as Memorial services, the faithful stand with lit candles as a sign that the deceased’s soul has left this world and entered the Kingdom of Heaven the Unwaning Light of God. Thus candles and lampadas are lit at all Church services, all with a wide variety of spiritual and symbolic meanings; for it is God Who said, Let light shine out of darkness, [and] Who has shone in our hearts to give the light of the knowledge of the glory of God in the face of Christ (1 Cor. 4:6). So too, lit candles in the church are also an expression of the worshippers’ adoration and love for God, their sacrifices to Him, and at the same time of their joy and of the spiritual triumph of the Church. The candles, by their burning, remind one of the Unwaning Light which in the Kingdom of Heaven makes glad the souls of the righteous who have pleased God.